The Office of Stewardship and Development for the Diocese of Laredo invite everyone to participate in a fun advent challenge. This challenge will help us dive deeper into the meaning of stewardship: giving of our time, talent and treasure to all people. We share this with you before this Sunday so you have time to plan out your month of stewardship. This Advent Calendar will provide you with daily challenges to live out acts of charity to your brothers and sisters in Christ as well as your unfamiliar neighbors. Here is how you can participate: Follow the Diocese of Laredo Facebook page to be part of this fun challenge. (Be sure to click "See First" on the "Following" options to stay up to date with the challenge) Next, post a picture or story pertaining to the day's challenge using the hashtag #StewardshipDuringAdvent so that others may find your post. 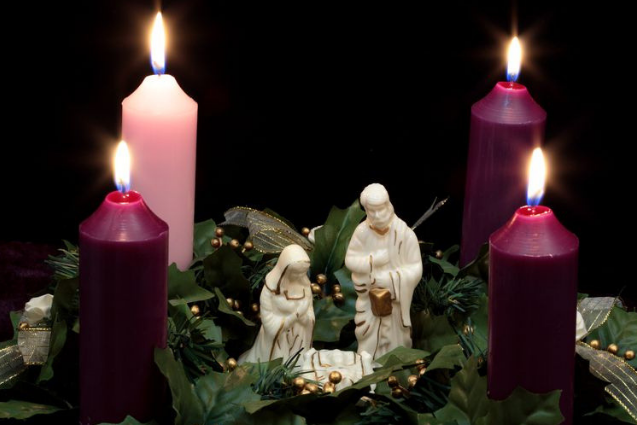 Let us be inspirational together all through this season of Advent! Click here to print a PDF version of the Advent Calendar or save the image in the gallary below.